A simple unified communications solution can address communication challenges organizations face on a daily basis and enhance overall operations. Because of this, convincing a CEO to adopt a UC solution should not be difficult. 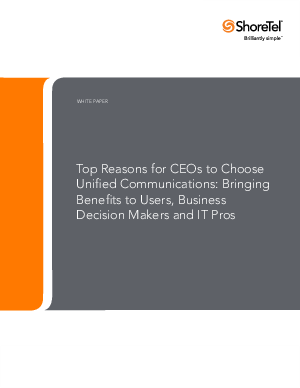 The CEO of an organization looking to remain competitive and offer exceptional service will want to adopt UC because of its effect on the enterprise as a whole - the system will please everyday users, IT professionals and business decision makers.